Answer to prayer comes in the mail. I was born on June 13th, and have always been devoted to St. Anthony. Years ago I lost my license on a day when I had occasion to take it out both at home and outside the home as well. I searched my home diligently for hours, then gave up in exhaustion. My godmother called and reminded me to say the prayer to St. Anthony, "Dear St. Anthony, look around. Something's lost and can't be found." I left the matter in his loving hands, and then went to deal with the day's mail. 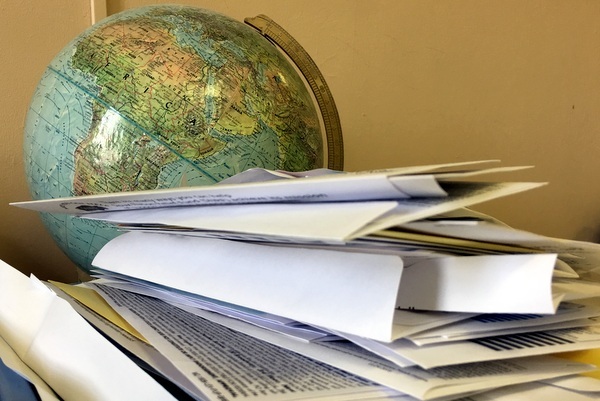 One item was a letter I had opened hours earlier from a Jesuit friend who had been sent to Nigeria to build and run a Jesuit Prep School there. I took the letter out of the envelope to read it more carefully than I had earlier, and my license fell out of the letter as I unfolded it! I am sure it is no accident that it reappeared in a letter from a priest! 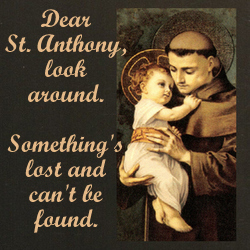 How it got there is a mystery -- or, a miracle from dear St. Anthony. I believe it's the latter, as he has never failed me since the day I was born. You are most welcome to use both my story and my full name, if you wish. I am proud to proclaim the glory of this miracle saint -- and equally proud to have been born on St. Anthony's Day. God's Choicest Blessings to you and the Franciscan community you serve.